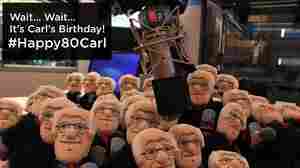 April 2, 2014  Join us in celebrating Carl Kasell's 80th birthday. 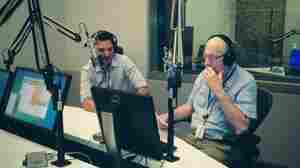 March 4, 2014  Kasell, whose voice is synonymous with NPR, will record his final broadcast for Wait Wait ... Don't Tell Me! this spring. From then on, he'll become "scorekeeper emeritus." July 21, 2013  You may need some napkins for this one. Today we all scream for what may be the coolest holiday of the year, National Ice Cream Day. July 17, 2013  This weekend, one of our listeners spent their "cognitive surplus" producing a video. It remixes audio of Carl Kasell reading LOLcats captions on TED Radio Hour with the corresponding feline images. Watch the video and get the back story here. 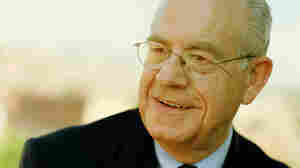 May 10, 2013  The North Carolina Press Association recently honored Carl Kasell as North Carolinian of the Year, 2013. Watch a short video honoring the legendary broadcaster. 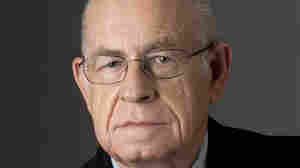 April 2, 2013  We knew that Carl Kasell has a few magic tricks up his sleeve, but for his 79th birthday, the Wait Wait... Don't Tell Me! scorekeeper surprised us all. Happy Birthday, Carl! 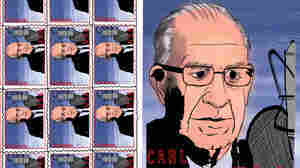 The Carl Stamps Are Finally Here! October 1, 2011  In response to the U.S. Postal Service's decision to start putting living people on stamps, Wait Wait presents the most avuncular living person ever to appear on a stamp.